Do Jamaicans share the same Facebook dislikes as Americans? In a recent survey, Pew Research Center asked 1,801 American adults what they like and dislike about the social network. 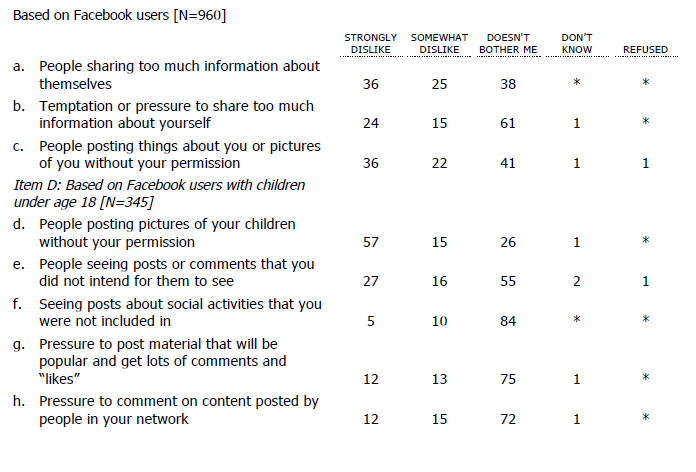 The way people share photos and other personal content were the main issues identified by the majority of Americans. 36% of users reported “strong dislike” for people who share too much information about themselves, while 25% said they “somewhat dislike” such people. Do you share some of these same dislikes? Answer the poll below or share a comment.